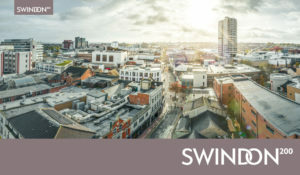 Swindon200 is a projects that’s celebrates diversity and enables a space to raises issues of inequality in and around Swindon. We believe in respecting all individuals and that equality underpins a healthy, dignified and well-functioning society. We value the presence of all members of our community, their voices and contribution. Our aspiration is that Swindon will become a model of fairness, inclusion, opportunity and fulfilment. 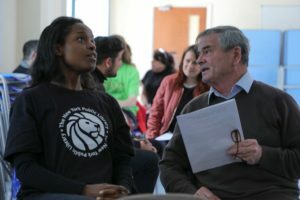 ‘The Swindon Equality & Inclusion Charter” lists values, beliefs and commitments that we can make in order for Swindon to become a community of fairness, inclusion, opportunity and fulfilment and we are looking for YOU or YOUR organisation to join us! It’s about difference that we can make when we can come together and work together to improve OUR town for the better! Learn. We commit to learning about inclusion and bringing people together, accepting everyone as valuable individuals. We commit to listening, learning and understanding about diversity and how to remove barriers. Share. We commit to take responsibility for sharing knowledge and information that promotes positive change and breaks down barriers across the community by means of action, communication and behaviours. Change. We commit as influencers, activists and educators to use the experience of the past and present to shape the future, holding people with responsibility to account and challenging ourselves to represent all of society. If YOU want to get involved!